Not sure how to fuel your workouts on a ketogenic diet? 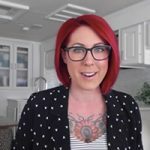 I’m sharing my best tips for getting the most of out your keto workouts – everything your body needs to perform optimally, from pre-workout to post workout, plus I’m answering a few common questions. 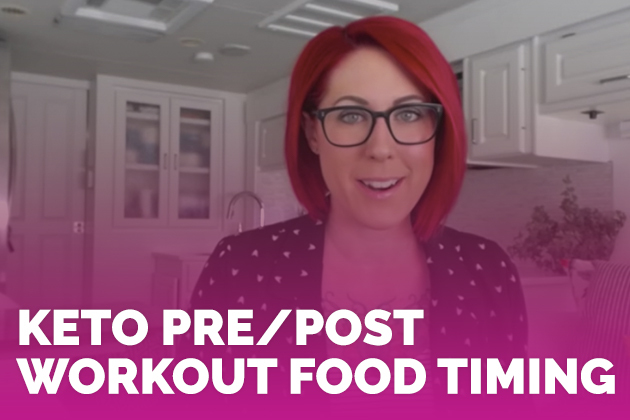 If you’re making the switch to keto while maintaining an active gym schedule, or if you’ve been keto but you’re new to keto fueled workouts, this video is for you! Right now, you might be wondering how you can fuel your workout properly without carbs… is it even possible? Should you just eat all the fat? In short, yes, it’s possible. And no, don’t eat all the fat just yet. Say whaaat? Need some exercise inspiration? You can read more about the workout routines I recommend in my digital programs, The Keto Beginning (pages 68 through 70) and Fat Fueled (pages 138 through 142). Listen, I get it — it can be really difficult to find a pre-workout that isn’t loaded with sugar, and a post workout recovery shake with an ingredient list that doesn’t include a bunch of crappy additives. There’s a definitely a strategy when it comes to fueling your workouts on keto, and today I’m sharing a few of my favorite products from Perfect Keto with you. The best part? 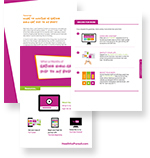 They put together a sweet deal for Healthful Pursuit followers. The first is for a pre-workout from Perfect Keto called Perform. It’s got the BCAAs that you need (leucine, isoleucine, and valine) plus MCTs, and BHB. Not sure what all of that means? No worries, I break it down in the video. 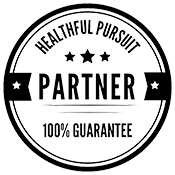 Check it out and when you’re ready to stock up, you can get 15% off Perfect Keto Perform with code HEALTHFUL. Pretty awesome! Next, you’ll want something to help with post workout recovery, my pick is Perfect Keto’s unflavored collagen. This video goes in depth about the importance of collagen, but basically collagen helps to repair your body so you can recover more quickly. I like Keto Collagen as a post workout because it doesn’t have whey, which is a common allergen for a lot of people (like me!). I prefer the unflavored version because I can add whatever flavors and sweeteners I like, making Keto Collagen super versatile. Perfect Keto is offering 15% off their Keto Collagen with code HEALTHFUL. Enough chatting, let’s get to the video!